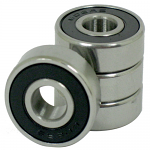 The smoothest ride possible can only be accomplished with the right front caster wheels for your wheelchair. The casters at Sportaid have managed to improve the steering capability of wheelchairs which is how you get the ultimate smooth ride. 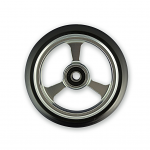 Sportaid is home to the premium collection of Casters from Frog Legs and other great brands at affordable prices. 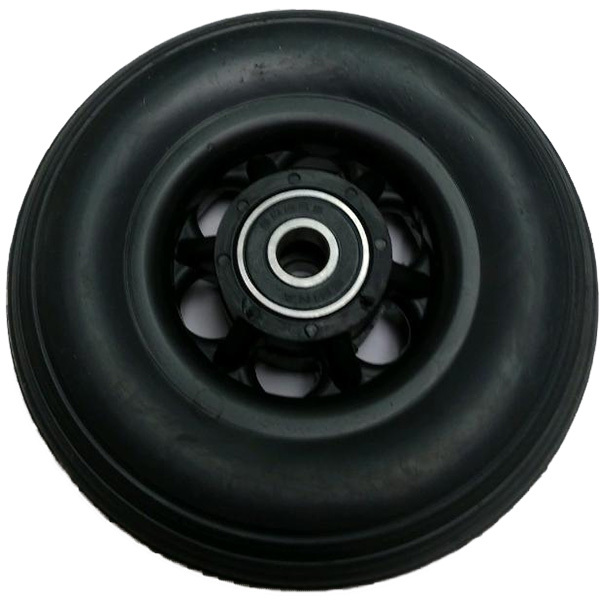 Browse through our high quality collection of 4" Wheelchair Front Casters below or feel free to call 1-800-743-7203 for help if you are interested in a safer and smoother experience on wheelchair. You'll be glad you did! Select from the top manufacturers and save big with Sportaid.com's everyday low prices. 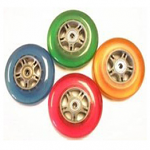 We have put together a collection of wheelchair caster wheels that is both highly adjustable and inexpensive as well as great at absorbing the vibrations that you feel while moving around in your wheelchair. With a selection of 4" Wheelchair Front Casters that includes 4" x 1" Frog Leg Epic Aluminum Firm Roll Court Wheelchair Casters, 4 x 1" Soft Roll Wheelchair Casters, 3" or 4" x 1" Lighted Wheelchair Casters, and many more, Sportaid has everything you need. Savings up to 34% on 4" Wheelchair Front Casters is a shining example of why Sportaid is the place for you! We guarantee satisfaction for our most loyal customers, and we extend the same offer even to first time shoppers. For more than 25 years, Sportaid has been helping people find the best deals on 4" Wheelchair Front Casters, and we are still an industry leader! We carry a large selection of wheelchair cushions, wheelchair parts, and wheelchair accessories. 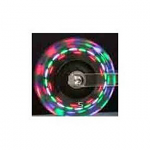 We can beat the advertised price of any competitor's top products, just call! Our staff is packed with experience including 50 plus years of customer service and more than 90 years of combined wheelchair use experience. We look forward to working with you!